This 1950’s 35mm. 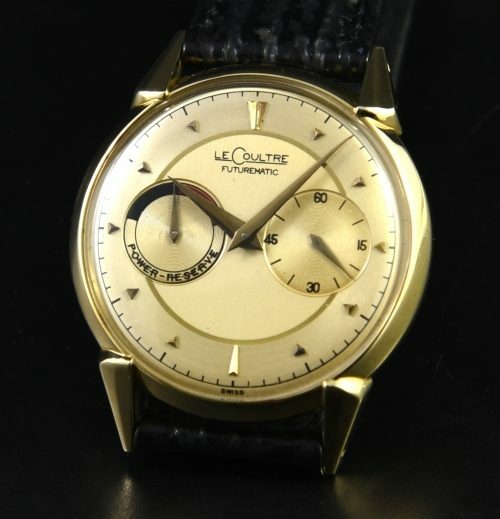 LeCoultre Futurematic Power Reserve is a more uncommon version, being 14k. solid gold. The dial and hands are all original. The 14k. solid gold case displays excellent condition. We just had the cal. 497 bumper automatic winding movement cleaned and is working perfectly. 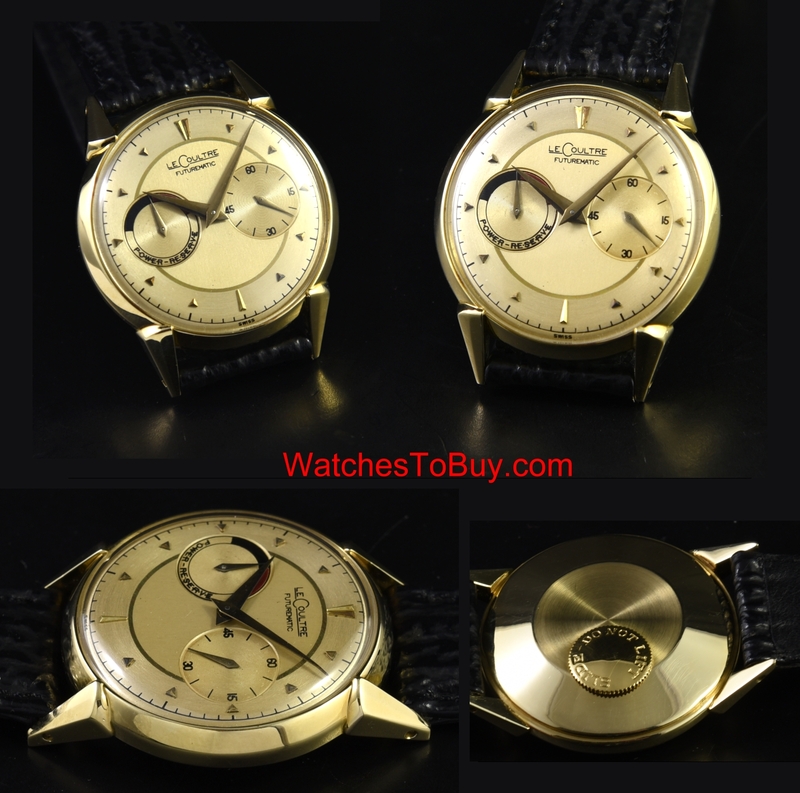 Usually you see the gold filled variation of this watch-solid gold is much less common. $3150.